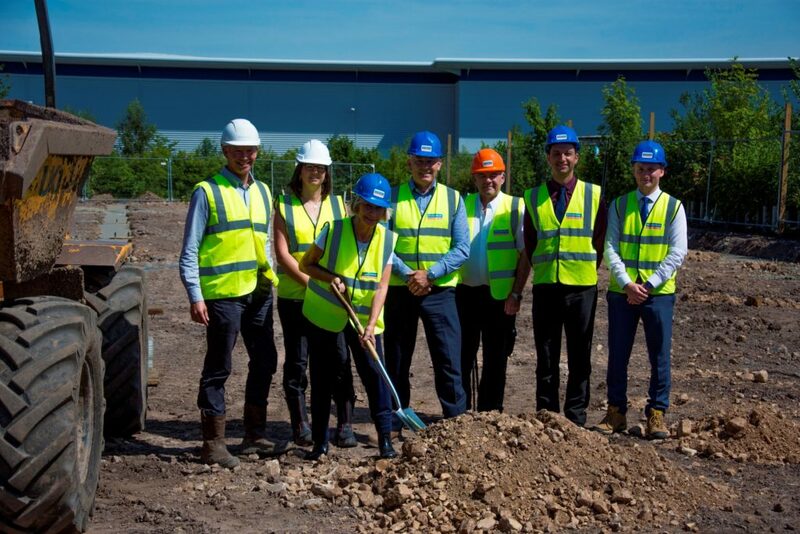 The Ground has been broken for an exciting new £1m expansion to a thriving business hub in Shirebrook, Bolsover. Bolsover District Council has joined forces with Robert Woodhead Ltd to deliver seven brand new industrial units with roller shutter doors, ranging from 1,000 to 1,300 square feet and complimenting the existing managed workspace at The Tangent. The units will be licensed for B2 (general industrial), B8 (storage or distribution), B1b (research and development of products or processes) and B1c (for any industrial purpose) use. The Tangent Business Hub on Brook Park already provides 34 high quality business units which were constructed in 2012 at a cost of £4.7million. The project has been so successful that the Council has decided to expand the offering, introducing a new additional facility to meet a growing demand. The park itself offers plenty of car parking spaces as well as a cycling park for locally-based tenants and their work force who wish to commute by bike. Bolsover District Council’s Leader, Councillor Ann Syrett said, “We are very excited about the potential these additional units can bring to the Tangent and wider area. “We have been overwhelmed by the support and interest we have received, not just from local businesses who are keen to move in, but also from bigger businesses who want to come to the Park. The construction work is being undertaken by Robert Woodhead Limited and has now started with a completion date of winter 2017. Paul Haythorne, Operations Manager of Robert Woodhead Ltd added “It was a pleasure to be involved today and to see the good progress on site and continue to develop our strong relationship with Bolsover District Council. The project will involve us working closely with the existing businesses at the Tangent to work around their needs”. The new units will be let on competitive and flexible terms. To register your interest in the units please contact: Natalie Etches on 01246 242389 or email natalie.etches@bolsover.gov.uk.